The next 3 Beach Boys albums sank without trace and only die-hard fans now have a place (or recollection) of Wild Honey, Friends and 20/20. Capitol released the group and the story was close to being over. However, there was still a large European following for the group and they were popular even in America as a live band. All subsequent albums since SMiLE had hinted at its brilliance. Several of the tracks originally intended for it had trickled out on the next few albums either in their original forms or, in some cases, in significantly altered versions but was SMiLE becoming a 'mythical masterpiece', much desired by aficionados. The Beach Boys started their own record label and released several more albums in the early 1970s. Much of what was on them was good. Brian even wrote a few new songs...but they simply would not sell. Several albums were rejected and had to be re-recorded before they could be released. The band lacked direction and commercial support. Brian had retired to his bed, where he spent most of his time self-destructing - drinking, smoking and consuming large quantities of drugs to the eternal frustration of his fellow band-members and long suffering wife Marilyn. His father Murry's death almost bypassed Brian - his mixture of respect for him as a father and hatred for his cruelty and dominance simply exacerbated Brian's mental decline. To everyone's surprise, in a group so starved of recent success, Capitol released a Greatest Hits package called 'Endless Summer'. It sold more copies than even they might have hoped for! Demand in the US for the Beach Boys suddenly became bigger than at any time since the heyday of the early 1960s. So, in 1976, the 15th anniversary of the group, a marketing ploy was developed to 'bring back Brian'. A sick, half-mad Brian was forced on-stage and into the studio to contribute to one of the biggest mistakes in the history of hype! 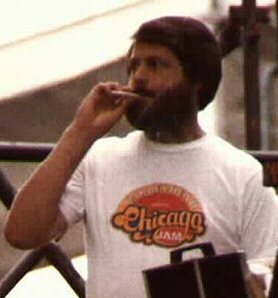 '15 Big Ones' was released in the long, hot summer of 1976 and the world was presented with a 'miracle', a 'second coming'...but an outrageously poor Beach Boys album with average production, very poor song choices and Brian trying to sing with a voice wrecked by several packs of cigarettes a day. Brian was helped back to a semblance of health by Dr Eugene Landy, a psychiatrist, who helped him lose weight, cut out the drink, drugs and smoking and start writing songs again. 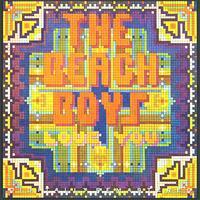 The next Beach Boys album 'Love You' (1977) is either loved or loathed by Beach Boys fans. No other album is so divisive amongst those who have remained loyal fans (or have discovered the group in the intervening years). I adore its cheesy 70's synths and silly, often childlike songs ('if Mars had life on it, I might find my wife on it' sang Brian) but others cannot accept the sparse production and Brian's still croaky (but recovering) voice so easily. Neither 'Love You' nor the subsequent late 1970's albums could sustain the commercial success and Carl, the brother who had done so much to hold the band together over the past decade, quit to go 'solo'. Carl had acted as peacemaker, singer and, effectively, Brian's understudy as band leader since the late 1960's and his loss spelt the end (at least temporarily) for the group. Brian and Dennis helped each other reach new depths of self-abuse in the early 1980's - both becoming dangerously addicted to cocaine and heavy drinking. Dennis's death from drowning while drunk in 1983 was, perhaps, one of the things which finally frightened Brian into straightening himself out.